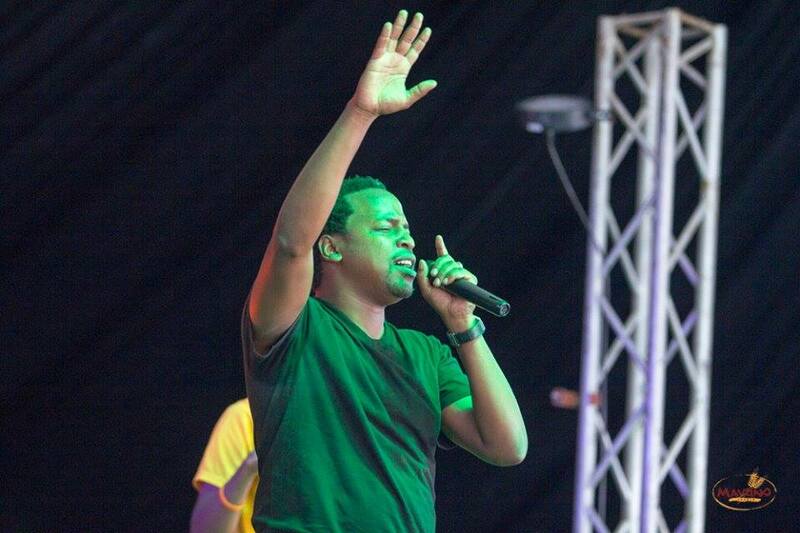 Not many can experience the highs known to the multi-talented Kanjii Mbugua, a gentleman who has graced numerous platforms as a minister of God's word through music. An ostensibly gifted producer, worship leader and Milele group member; he wears many musical hats. Last born in a family of five, with two elder sisters Kanjii grew up in Nairobi . Each one of his siblings was seriously involved in extra-curricular activities; prompting his father to enrol him for music lessons. An avid sportsman he juggled tennis, swimming, basketball, piano, guitar and voice training. Driven with a burning ambition to play professional basketball in the NBA, he captained his team from Nyeri Baptist School to the provincial finals, and only after a painful loss did it dawn on him that basketball was not to be his career path. At 10 years of age kanji accepted Jesus as his personal saviour at a Scripture Union camp after one of the guest speakers preached a sermon that he jokingly quips scared 'hell out of him'. He did not fully appreciate his life changing decision through the subsequent years until he discovered, through a certain pastor Wanji sermon, that salvation was just the beginning of a spiritual journey with God. Kanji went to Makini primary school, Nyeri Baptist High school . In 1997 he was selected as Kenya 's Youth ambassador to the world. In the process he gained a diploma in conflict resolution and a world tour. On his return he joined real music school for voice lessons with Joseph Hellon. In the pursuit of the best possible music training, he enrolled at Biola University, where he studied music and vocal performance; studied contemporary music in Musicians Institute in Hollywood, audio engineering and music business at Dallas' SoundLab. Upon leaving for the US, Kanjii surprisingly reconnected with some of his childhood friends, and went on to form the trailblazing music group Milele. Along with Kaima, Harry and Christian, Milele went on to record three albums 'Forever, Level Up and Afrique' leading to a good umber of chart-toppers, including Forever, Sanjolama, Turn it Around and others. Though a seasoned producer, Kanjii does not consider himself as one, and is rather modest in explaining that he does what needs to be done with the gift of capturing and actualising visions. As a producer he has worked with a large number of artists who have come through his Kijiji Records imprint, and in the process launching the successful albums of artistes such as Aaron, Hellon and Chizi. As regards production, Kanjii would like to establish a higher art in Kenyan music and secure a solid fan base for the genre of music that his production house is churning into the market. He is quick to add that the church has had a big impact in his ministry. With one hat as a worship director at a local church, his purpose is to lead his audience to the Presence of the almighty God, emptying into them what God has poured into him. One only has to watch Kanji, 'the entertainer' perform with his band, The Villagers to experience his crowd rocking performances. As a solo artiste, he has few artistic inhibitions as regards the genres he pursues, targeting a different class of people, and opening them up to the love of God and rallying Christians to address issues affecting Kenya today like Corruption, the AIDS pandemic among others. He wants to use his giftings to influence how Kenyan's worship and simultaneously find solutions for Kenya and Africa at large. He has been with Milele since its inception and points out that each member in the group has well laid down roles. Kanjii was blessed to have studied music in the USA , the Hub of the entertainment industry.